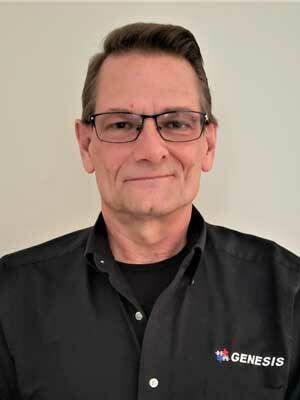 Jeff handles System Sales, Design, and product evaluation for Genesis. 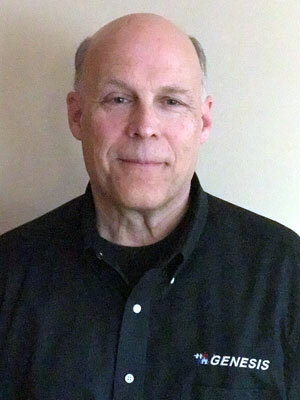 In a career spanning more than forty years, Jeff started working for Lafayette Radio Electronics. With a love of electronics, he quickly expanded his knowledge and technical acumen at Lafayette. Advancing rapidly through a series of promotions he was named District Manager in a few short years, overseeing operations in eight store locations in Michigan. Music is Jeff’s “second love” (he performed with his first band at the age of twelve and hasn’t stopped) and he continued to develop his talents in this area whenever he wasn’t working his “day job”. Recognizing an opportunity to combine his technical expertise in electronics with his love of music, he opened his first business, a recording studio named TJ Sound in 1980. For the next 17 years Jeff owned and operated two other studios, the most successful being Cornerstone Recordings, which produced local radio and tv ads and over 650 CD projects, a few of which played on the national stage. A dedicated husband and family man, Jeff made the decision to sell the studios in order to spend more time with his young family. It was at this point that Jeff moved into the industry of audio-visual system design, sales and programming. Working for Enticed Technologies his designs were applied to Corporate, Education and Government installations. Three years later however, he was again “bitten by the entrepreneurial bug” and with a co-worker opened Integrated Digital Systems (IDS). 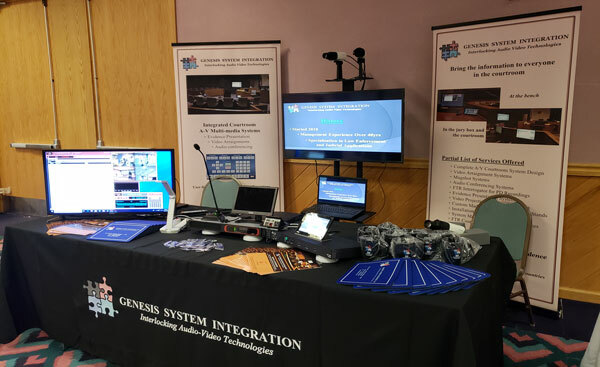 IDS was instrumental in the design of the first multi-location Court Video Arraignment system based in one of the largest counties in Michigan. After eleven years there Jeff parted ways with IDS and opened Genesis System Integration with Mark. Realizing that customers in many cases were overpaying for audio-visual systems, they saw an opportunity to provide more cost-effective solutions for their clients. 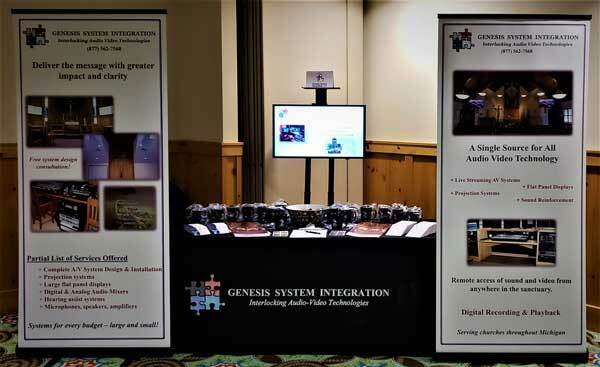 Using this strategy as a foundation, Genesis has grown to become a leading Audio-Visual integrator and now supports hundreds of clients throughout Michigan. Throughout the journey, Jeff never lost his love for music and passed this trait on to his two children. Today, he, with his children, are active in the music ministry at their church. 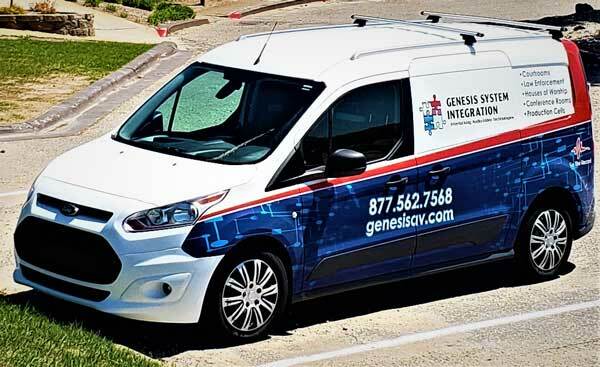 Steven’s team handles all of the field work for Genesis, from initial site survey to installation and testing of the completed system. 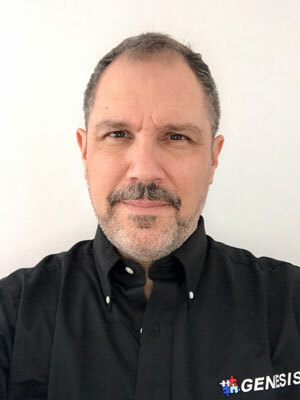 After attending Macomb College, Steven worked at a variety of different organizations before finding his niche in home theatre design and installation in the early 90’s while living in Florida. Upon moving back to Michigan, Steven resumed working in the corporate AV field with Enticed Information Technologies. It was while working at Enticed that he met Jeff. They have continued their working relationship for over 20 years, all in the high-end AV integration field. In his spare time Steven is a semi-pro guitarist, playing with different bands on a regular basis. He is also a studio guitarist along with being an independent producer. Steven loves the outdoors (especially on a boat) and traveling. With a degree in mechanical engineering from Michigan Technological University and a business education from Northeastern University in Boston, Mark handles Finance, Legal and HR matters for Genesis. In a career spanning more than forty years, he worked first at General Motors at their Milford Proving Grounds. Leaving GM, he moved to San Antonio and worked for EG&G Automotive Research. After a series of ever-increasing roles of responsibility, Mark was named President of EG&G Automotive Testing, where he oversaw business operations in Texas, Michigan, Virgina and Germany. In 1998, with a close business associate, Scott Hartel, he started his own company, Testing Services Group, LLC, headquartered in Lapeer, Michigan. Together they grew TSG into the leading independent fuel systems testing company in North America, serving customers from around the globe. Along the way, Mark and Jeff connected through a common interest in music and music production at their church. This association, combined with Jeff’s technical expertise and business background in the court recording market, led to the formation of Genesis System Integration, LLC. Mark and Jeff continue to be active, along with their children, in the music ministry at their church.